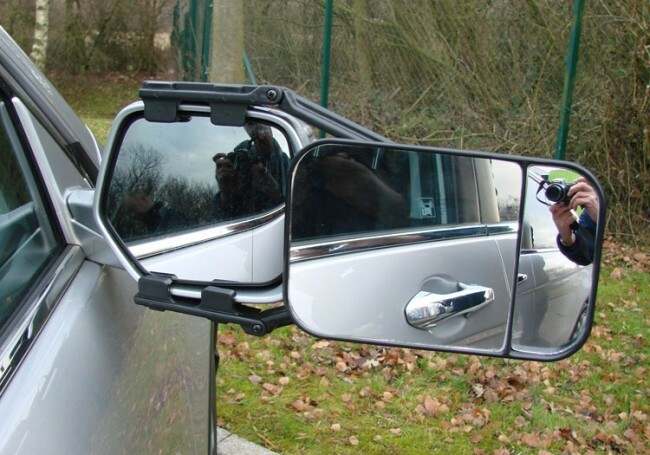 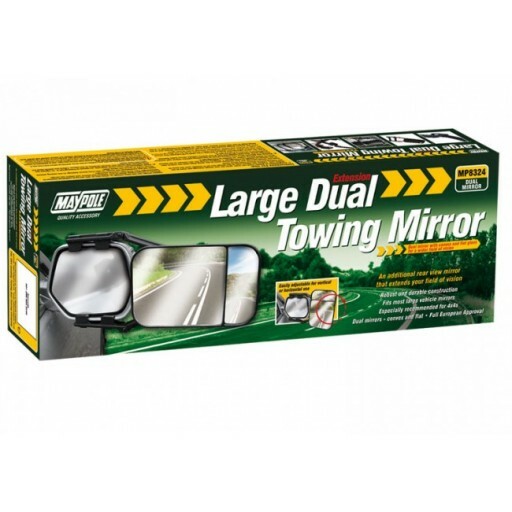 Maypoles Large towing mirror with dual mirrors (both convex and flat) gives you the best of both worlds and is recommended for larger vehicles such as 4x4’s and MPV’s. 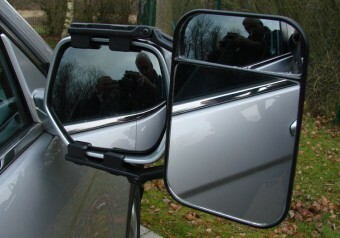 The mirror is flexible and can be set up so you can use either orientation. 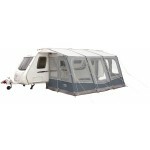 It comes with full European approval. 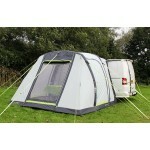 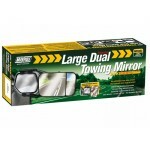 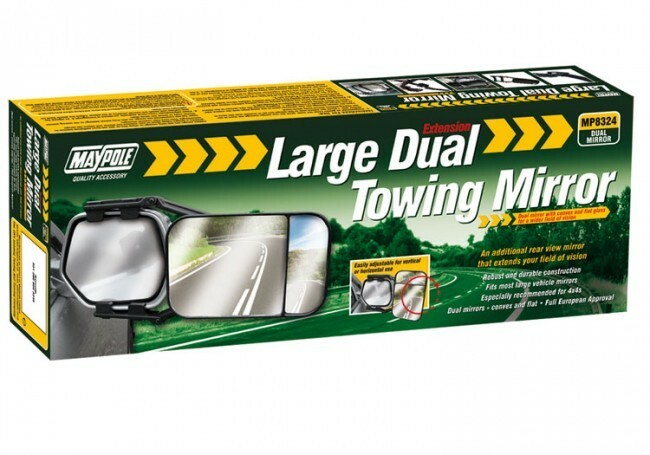 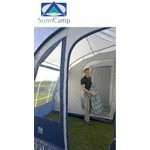 Maypole Large Towing Mirror (Single, Dual Glass).